The biggest obstacle homeowners face when looking to fix or replace their roof is choosing the right person to do the job. After a damaging storm, they need to quickly get back to normal and get the necessary roofing repairs completed. But that doesn’t mean they should just choose the first contractor who knocks on their door. Look for manufacturer designations. Manufacturer designations are considered a badge of honor because the contractor must pass certain minimum requirements to be factory-certified (although, some manufacturers have more stringent requirements than others). Some contractors blow in (no pun intended) right after a storm looking for work, so it’s important to look them up on the BBB website or equivalent and make sure they have a good score. Stay away from contractors who do not exist on BBB.org. or equivalent. Trudel and Sons Contractors are required to maintain satisfactory ratings in order to retain their certification. Get an extensive warranty. Not all contractors can offer manufacturer warranties that include coverage of the contractor’s workmanship. If a contractor installs the roof incorrectly, it may take months or years for the damage to show up and insurance won’t pay for it. If the contractor won’t fix it (or worse, has gone out of business), your only recourse is to pay for their mistake yourself. Be concerned about safety. A contractor without a training or safety program may not be the best person for your job. Check for proper licensing and insurance. The contractor should have insurance for all employees and subcontractors and be able to provide a copy of their insurance certificate for validation. 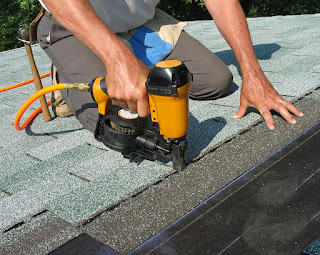 Not having adequate insurance could potentially lead to litigation between a contractor and homeowner if a roofing employee sustains an injury at the home. Most states and provinces require licensing for contractors, but that does not stop unlicensed contractors from attempting to do the roofing work. In states or provinces where licenses are required, make sure your contractor provides you with a copy of their license and confirm their status online. Pay your deductible. Any contractor who claims that they can handle the repair without having the homeowner pay their insurance deductible is committing insurance fraud and endangering the homeowner. The insurance deductible is the responsibility of the insured, and the contractor should reflect that in the quote without inflating the estimate to cover all or part of the deductible. Handle your own claim. A contractor who says they are “a claim specialist” or can “handle your insurance claim” may be breaking the law. In most states or provinces, it is illegal for contractors to act on behalf of the homeowner when negotiating an insurance claim. Any contractor who opens the door to potential legal action is not acting in your best interest. Don’t give in to pressure. Watch out for a contractor who pressures you to sign a contract before the insurance company has estimated the damage. Some contractors say they can work with whatever your insurance company settles upon, but the homeowner needs to ensure it’s not just any amount, but the right amount. The contractor should thoroughly examine the home and check that their insurance adjuster didn’t miss any damages. Know your material choices. A contractor who does not offer you different shingle options is not looking out for your best interest. The style and color of the shingles you install can affect the resale value of your home. Always remember - Knowledge Is Power!